It’s that time of year again. Most of us have fresh goals and great hopes for achieving them. I have set myself some lofty goals and am using the process described here to give myself the best shot at success. A great goal is made up of an outcome goal, supported by one or more performance and process goals. Set three levels of goals. These goals describe the outcome you’d like to achieve. If you’ve ever heard of SMART goals (Specific, Measurable, Achievable, Realistic and Timebound), these are outcome goals. Having goals like these is one of the best ways to create a clear vision of what you’re aiming for and many people find this level of goal setting enough to set them on the path to success. The field of sports psychology, which tasks itself with peak performance, adds two further dimensions to goal setting. Adding these dimensions to our goals in other areas of life adds a useful set of concrete goals that help us think about the daily requirements for achieving our outcome goals. In order to achieve your outcome goals, you’ll require specific skills and knowledge so it stands to reason that the more you build your knowledge and develop your skills, the better your outcomes will be. Performance goals require you to define the skills required to achieve your outcome goals and set specific goals for developing those skills. These are about the processes you have in place for ensuring you get enough practice. How are you going to create opportunities for improving your performance? Outcome goals offer a single layer target. Adding performance and process goals provides a layer of specificity that allows you to make conscious choices about your habits and daily practices in your efforts to achieve your outcome goals. This type of multi-level goal setting is particularly important if you’re aiming to be within the top 1-5% of people who do what you do. It is also really useful when your goals involve the acquisition of several skills and multiple development areas. 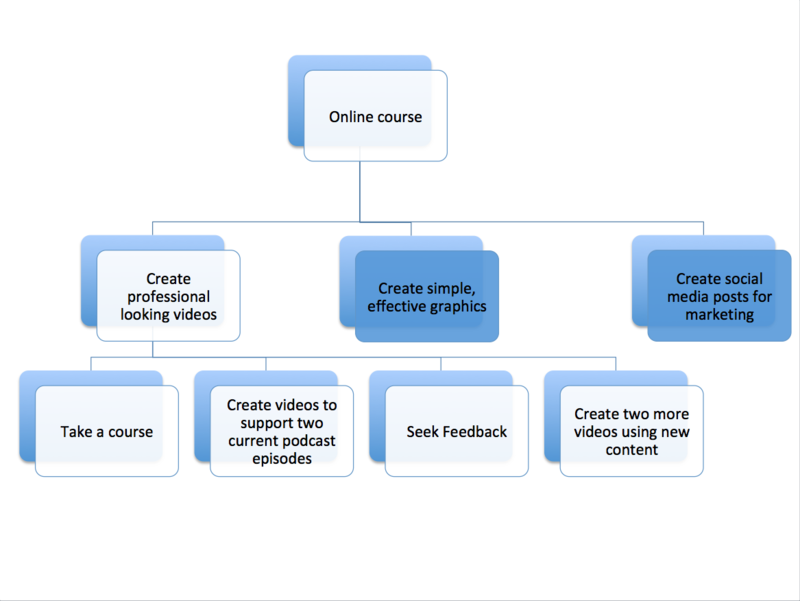 Outcome goal: Create my first online course and sell it to at least 100 people at a price of £100. Setting goals this way allows for greater clarity and helps determine where to place your focus and what to prioritise in order to get moving, gather momentum and move towards your goals. Using outcome goals alone, it’s easy to lose sight of the little, day to day things we’re doing that drive us away from our goals, making our goals more difficult to achieve. Setting up smaller, more specific goals that shape daily habits and practices, we stand a much better chance of creating flow and momentum in the direction of success. The Psychology of Performance – Eddie O’Connor Ph.D.